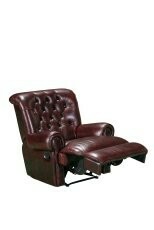 The Yorkshire Chesterfield Recliner chair is available in your choice of leather. Its construction of hardwood and plywood frame is backed up by a 10 year warranty on the frame. The Yorkshire Chesterfield Recliner chair is available in your choice of leather. Its construction of hardwood and plywood frame is backed up by a 10 year warranty on the frame. The seat is fully sprung with non-sag springs in the base and pocket springs in the cushions ensuring long life and comfort. This classic chesterfield is available in a wide range of colours. If you are trying to match your Chesterfield Recliner you also have the benefit of choosing from a wide selection of colours. 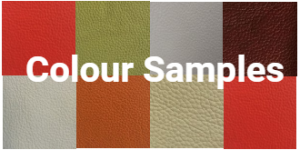 You can have it upholstered in 100% leather or choose from a wide variety of warwick Fabrics. This will ensure your new Chesterfield Recliner complements your current style and adds a touch of class, and comfort to your space. The Yorkshire Chesterfield Recliner has established itself as one of Chesterfield Lounges.com.au's most popular products as for many years customers have been asking us for a chair that will give them the look of a chesterfield, but with the comfort of a recliner. Finally it arrived and the result has been dramatic, with the chair being shipped into homes throughout Australia. The Yorkshire Chesterfield Recliner will, I am sure, find a special place in tour home as well.